Indonesia is a hundreds of island and one of the famous ones is Komodo Island. It takes about 1 hour by small airplane and takesa boat to get to the island. You will be amazed of the beauty of the nature in the island. A famous animal of the island, Komodo Dragon is protected in wild. 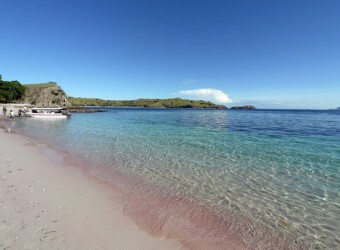 Don't miss the clear coral ocean and the pink beach as well!